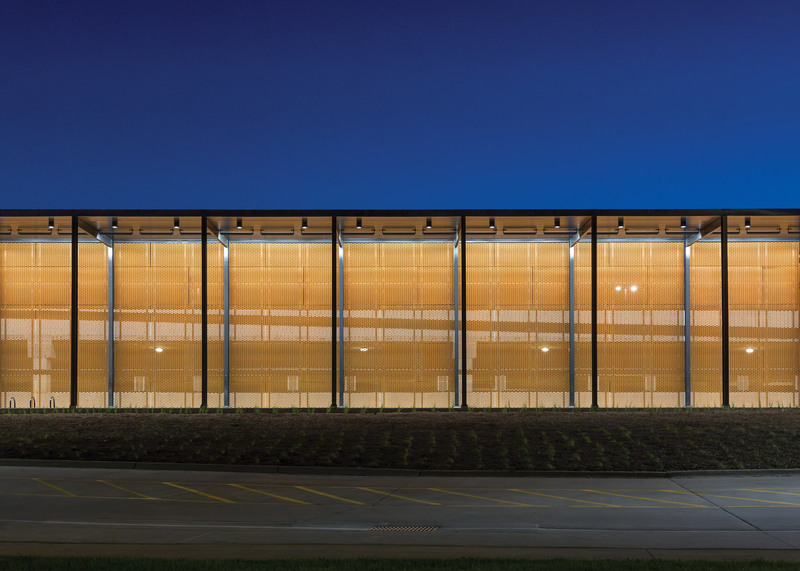 This multi-storey parking garage in Des Moines, Iowa, by local firm Substance Architecture features a yellow-coloured aluminium screen that permits air flow while blocking views of cars (+ slideshow). 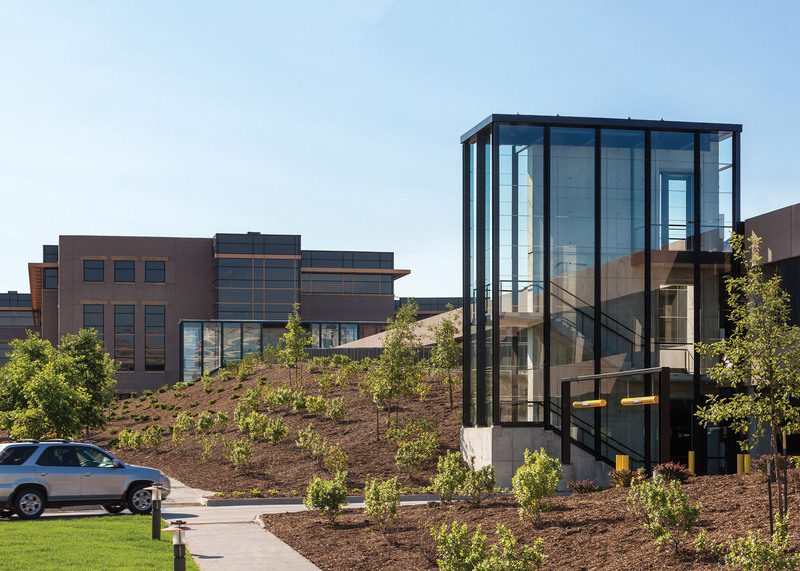 Titled Corporate Campus Parking Facility, the open-air garage is situated in an office park in West Des Moines, a suburban community within the Des Moines metropolitan area. 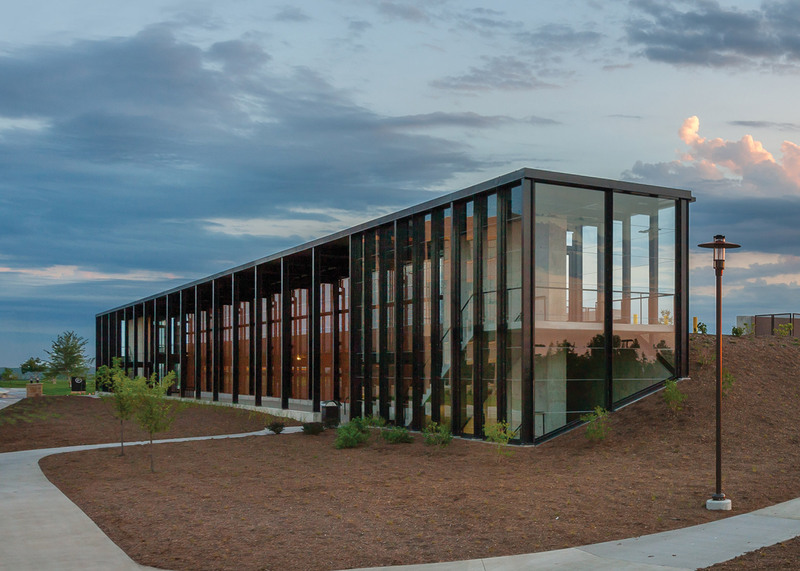 The car park was built to accommodate the demands of a new office building that was also designed by Substance Architecture, a local design practice founded in 2001. The rectilinear garage contains 1,412 parking stalls and encompasses 420,200 square feet (39,000 square metres). There are two charging stations for electric cars, with space for additional stations in the future. 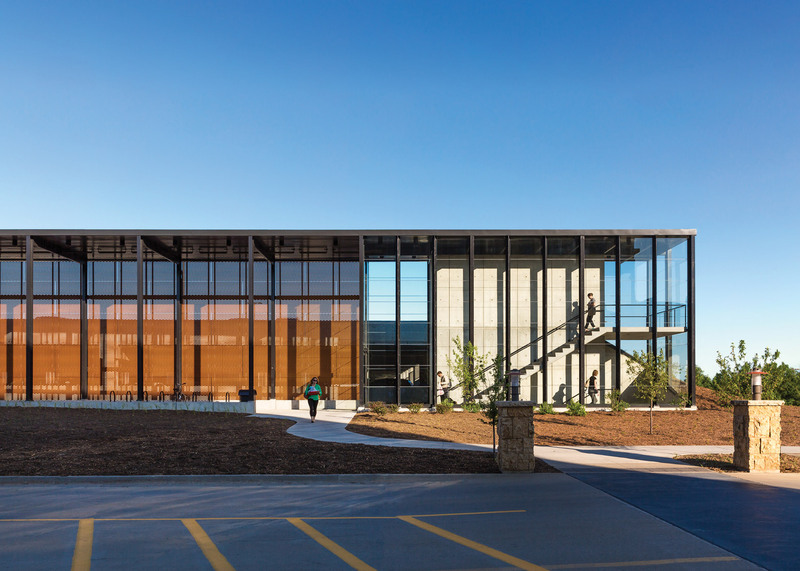 Creating a subtle building that did not obstruct views of the campus was a key factor in the design process. 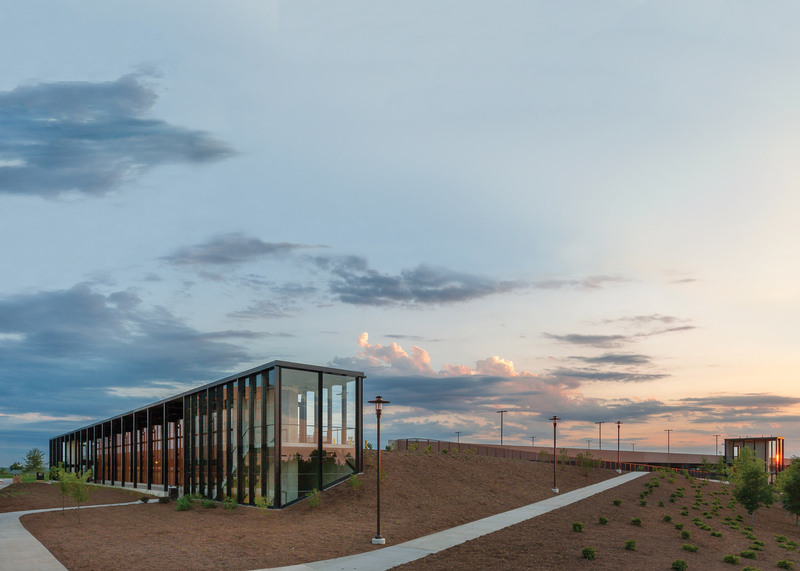 The architects integrated the four-storey building into the natural slope of the site, with two levels located partly below ground. "All levels have an accessible exit to grade, which allowed us to eliminate elevators from the project," the firm noted. 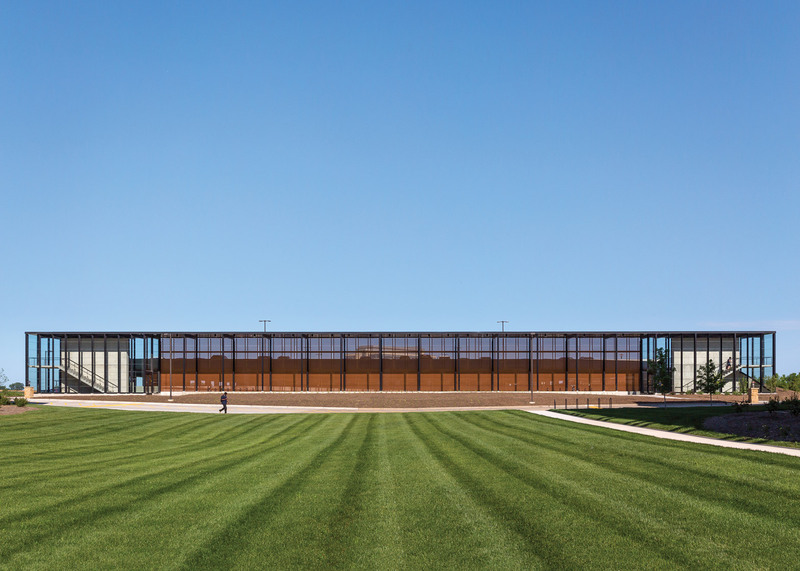 One side of the garage faces the office building, while the other elevations look out over a landscape dotted with trees. 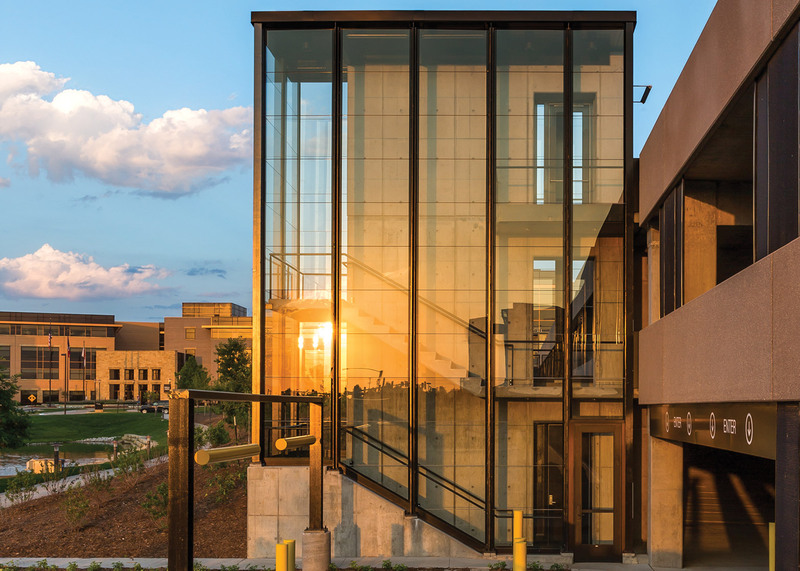 On the eastern side of the building, a large gold-coloured screen made of aluminium mesh provides a "visual and physical separation between the campus pedestrians and the vehicles hidden beyond," said the firm. Bronze-coloured mesh was used to conceal columns on the building's other elevations, which consist of concrete walls with openings to enable airflow. The precast concrete is coloured to match the material used elsewhere on the campus. 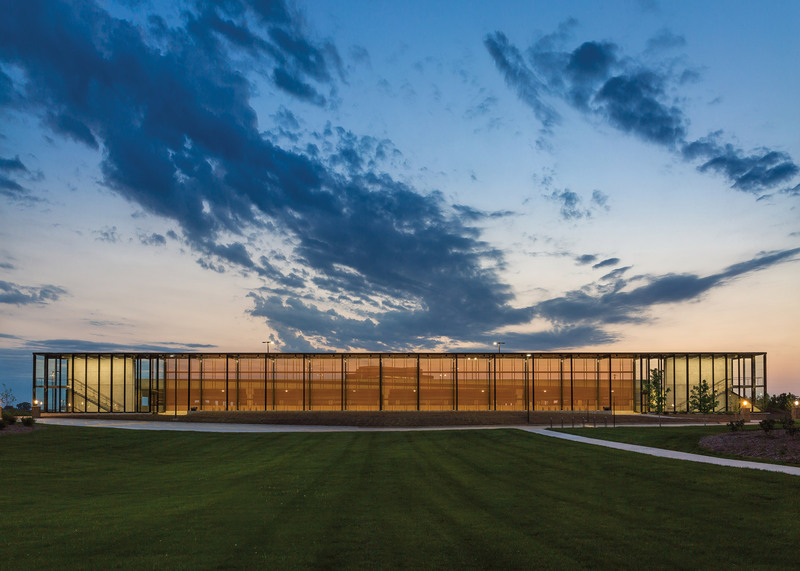 The structure's frame and deck are made of cast-in-place, post-tensioned concrete. 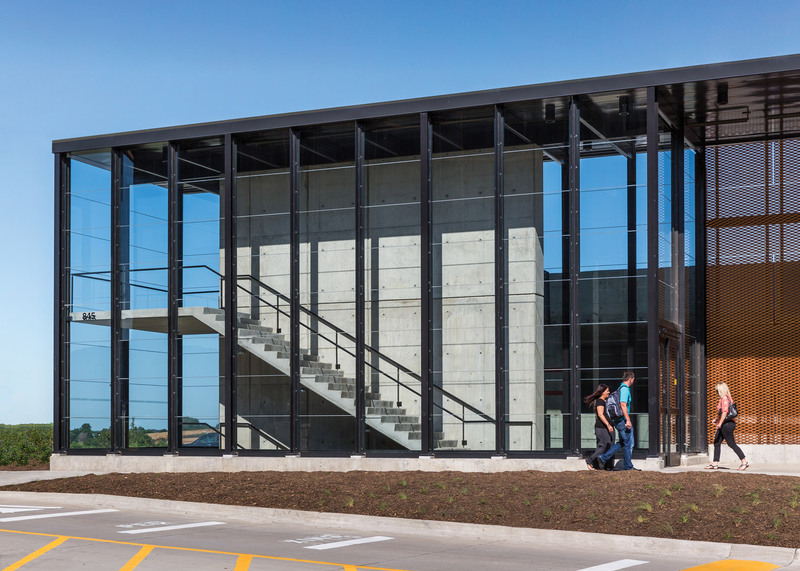 Visitors enter the garage through glass-box stairwells that are framed in black steel. "The egress stairs emerge from the earth to provide clear access points for the pedestrians," the firm said, noting that the stairs also mark where vehicles can enter the building. Other recent parking facilities include a car park in Spain wrapped in rows of brightly coloured metal slats and a garage in Belgium featuring perforated metal balustrades. Photography is by Paul Crosby.